#BlackLivesMatter #LoveWins #YesAllWomen. These are just a few of many social media movements flooding our news feeds amidst the fight for social equality. This advocacy for change is seeping into college campuses in the forms of rallies, protests and marches where students are taking matters into their own hands. 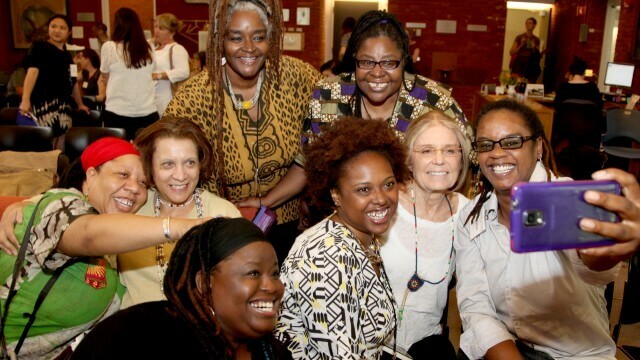 Check out 10 college campuses that are perfect for letting your inner Gloria Steinem break free. If helping the community is a core mission of your university, then it’s doing something right. 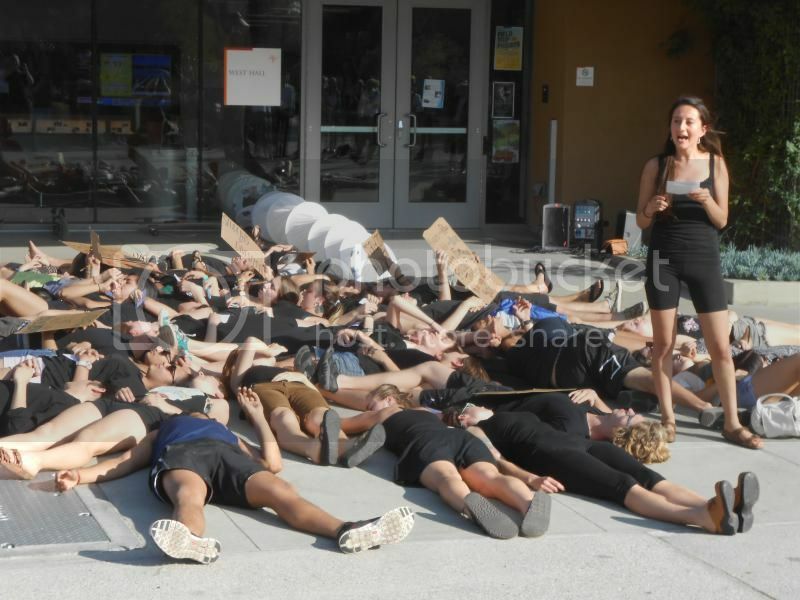 This liberal Claremont College is a strong advocate for the equal rights of all Americans. Case in point: at their 2015 commencement ceremony, transgender rights activist Janet Mock was the 51st keynote speaker. Pitzer’s fight for change rests in the hearts of all students through clubs such as Pitzer’s Feminist Coalition which works to open the minds of their peers. Look no further than JMU if you want to become a leader for social change. Services like the D.E.E.P Impact Program help increase diversity awareness on campus, and allow students of different backgrounds to have a place to connect with one another. “This past year, D.E.E.P Impact stayed on top of current events that were in the media and provided platforms for students to have discussion facilitated by their peers. Programs like this and clubs like Students for Minority Outreach are for JMU to continuously grow in their efforts in having all students of all races equally aware of social injustices taking place in our nation,” said junior Omile Chinenye. In the fight against racial injustice and police brutality, Spelman stands tall as an all-women’s HBCU for the acknowledgment of intersectional equality. 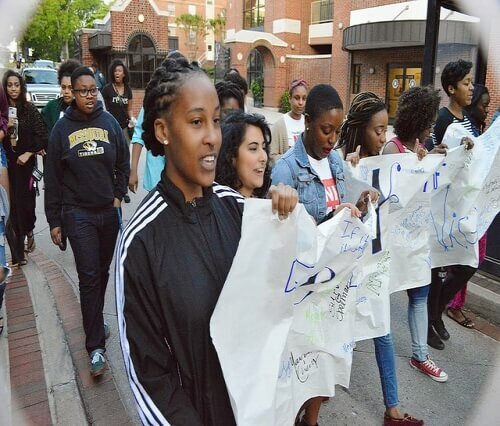 This Georgia college works diligently to organize events dedicated to uplifting and acknowledging the struggles of black women. In April, Spelman held Denim Day, a selection of events centered on wearing jeans to recognize National Sexual Assault Awareness and Prevention Month. In the heart of Washington, D.C., you’ll find GW’s campus alive with students working to make a difference. Home to more than 42 undergrad advocacy and awareness clubs, you’re sure to find a cause that’s close to your heart. Graduate student Ashley Trick combined her human services and social justice degree with a heavy involvement in student orgs to make a difference in the world. “I think my major is incredibly telling of the kind of environment we try to foster here ─ human services and social justice. 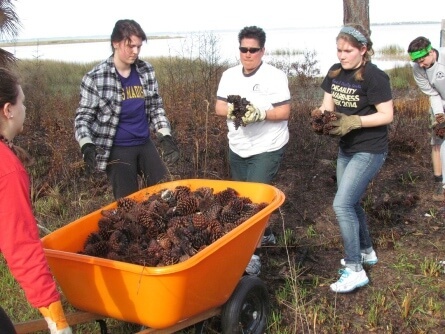 By the time a student finishes the HSSJ major, they’ll have completed over 400 hours of fieldwork in the nonprofit sector including experiences surrounding grant work, program evaluation and meaningfully engaging marginalized communities,” said Trick. Let’s face it, all Ivies are intimidating. Since 1754, Columbia’s history has molded some of the most intelligent and courageous students of today into leaders of tomorrow. With great power comes great responsibility and that same motto applies to the students attending this NYC institution. 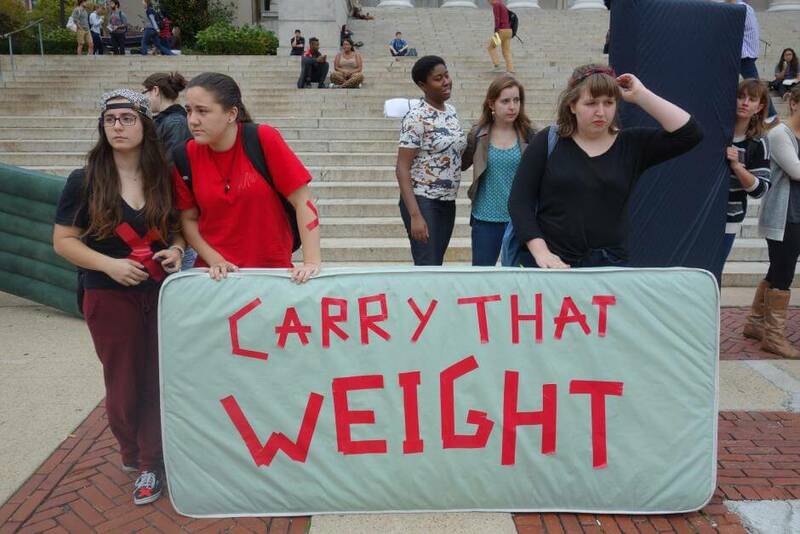 Rallies against sexual violence and a laundry-list of social justice orgs like Peace to Peace and FEED are proof that Columbia is not only about the books, but also about action. Wesleyan may be small, but its influence is mighty. This Connecticut university is the place to be if real discussion of today’s hot issues is your cup of tea. In an effort to join the many other college campuses in the fight against police brutality, senior Driesen Heath created a photo of the campus for the “Hands Up, Don’t Shoot” campaign. 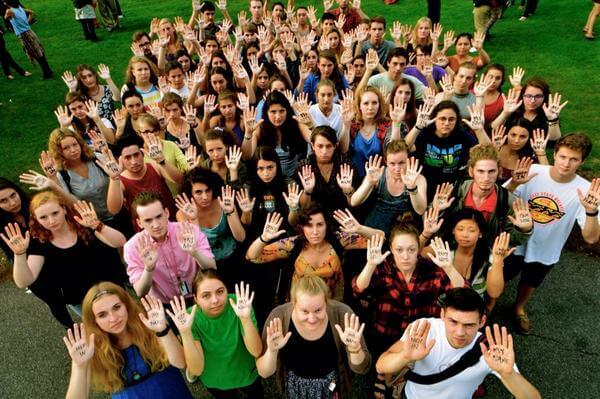 This moment of solidarity shed light on how all students can ban together for positive change. There’s nothing like a big campus and hot button issues to really get your activist juices flowing. Admitting roughly 54,000 students a year, the University of Washington is a hub of thousands of voices and opinions ready to sound off at any wrong move. Greek Life is a recent target for change as UW students sounded off about sexual harassment, racism and misogyny within fraternities and sororities on campus. 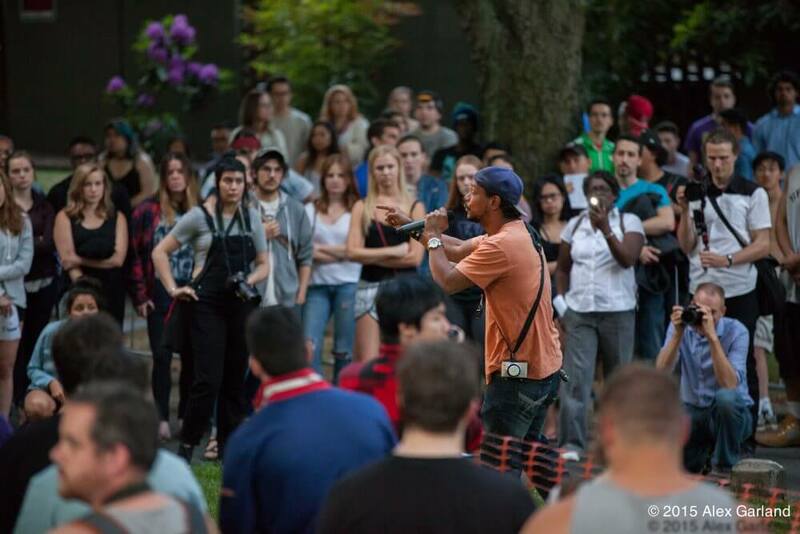 To address these matters, UW held a rally that combined educational pamphlets with open mics so that everyone’s voice could be heard. American University asks not what your college can do for you, but what you can do for your college. Study political science, criminology or international service and you’ll have the opportunity to your degree to change the world. There’s a class for just about every social movement you can imagine. “AU encourages its students to get out there and be activists. There are classes dedicated to social issues and events happening literally everyday on campus advocating for some sort of social change. I just love that this campus is so well informed and passionate about helping the world,” sophomore Kennedy Praweckyj said. University of California-Berkeley takes the top spot as the college where aspiring activists enroll. The university’s historical work with the Free Speech Movement and anti-Apartheid beliefs inspires its students to continue to fight for justice. “UC Berkeley is not a school for activists. It has been the resistant human beings who have utilized this institution as a platform to show the world in all of its capacities how deep the will of humanity can be when it refuses to remain silent,” said senior Valeska Castaneda Not only has it transformed the idea of how a college campus can be revolutionary in societal struggles, but it continues to flourish as a center for student activism on issues like sustainability, immigration and incarceration. Correction: An earlier edition misstated Castaneda’s class standing.